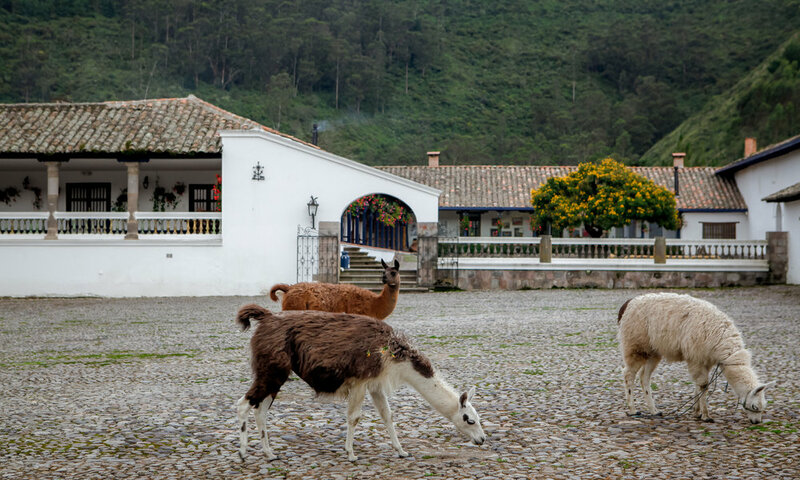 Set amidst the giddy heights of the Andes at 9,600 feet, Hacienda Zuleta has been in the family of the late Galo Plaza Lasso, a former president of Ecuador, for more than 100 years. 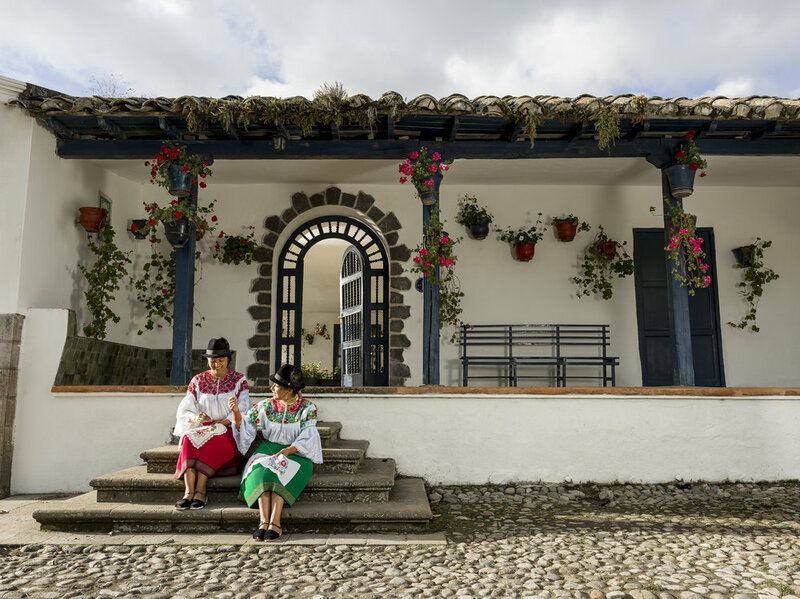 Hacienda Zuleta, set at a giddy elevation of 9,600 feet and designed to reflect its Colonial history as well as its ties to local mountain towns, has long been in the family of former Ecuadorean president Galo Plaza Lasso--for more than 100 years. Chosen as one of the world's "Top Ten Finds" by Outside Magazine, this gem offers up an authentic retreat with no creature comforts spared and plenty of adventure for everyone. Only two hours north of Quito, Hacienda Zuleta sits flanked by smoking volcanoes and rich fertile farmland; it is also the only spot on earth where at times a temperature of zero degrees Celsius coincides with latitude zero. The Hacienda and guest rooms are furnished with colonial pieces and family heirlooms, and each comes with its own fireplace to stave off the chilly Andean nights. 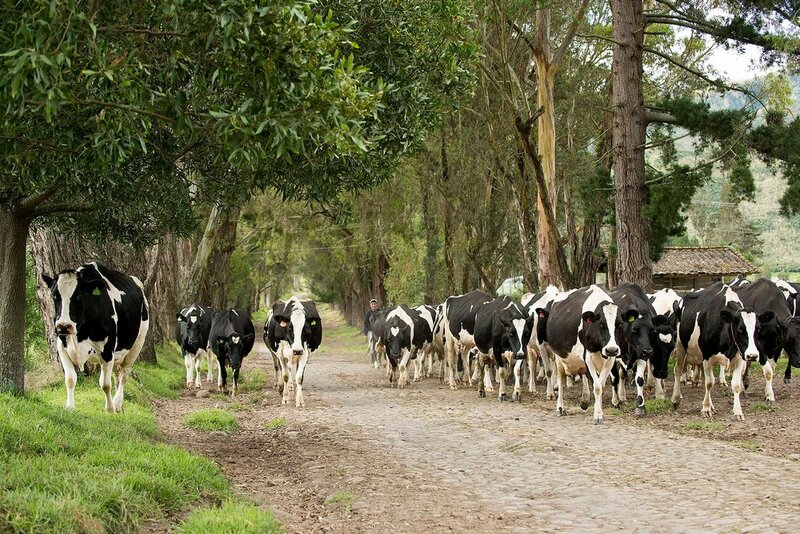 The food is locally produced, much of it from the farm itself (including delectable cheeses available at every meal), and they take tremendous pride in their delicious Ecuadorian cuisine. 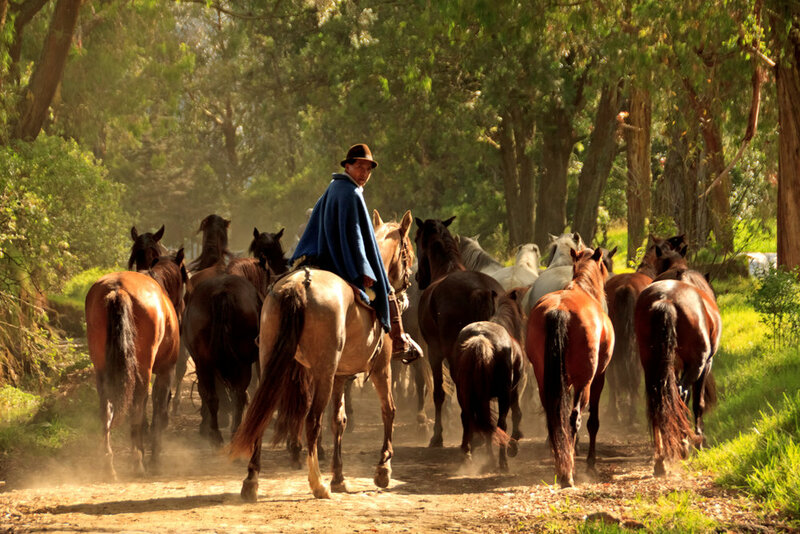 Activities include horseback riding, hiking to rarely visited hilltops, visiting a condor rehabilitation center, and spying for sly spectacled bears who call this area home. You can even bike down the local mountainside into the village of Zuleta to get a real sense of place among the low-lying clouds. 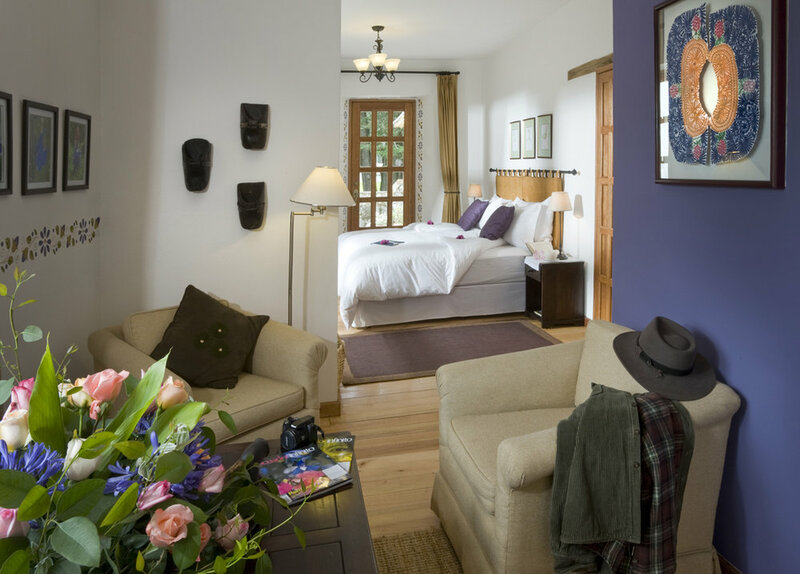 No matter how you choose to spend your time at Hacienda Zuleta, we are sure you'll feel like you have a home away from home in Ecuador. 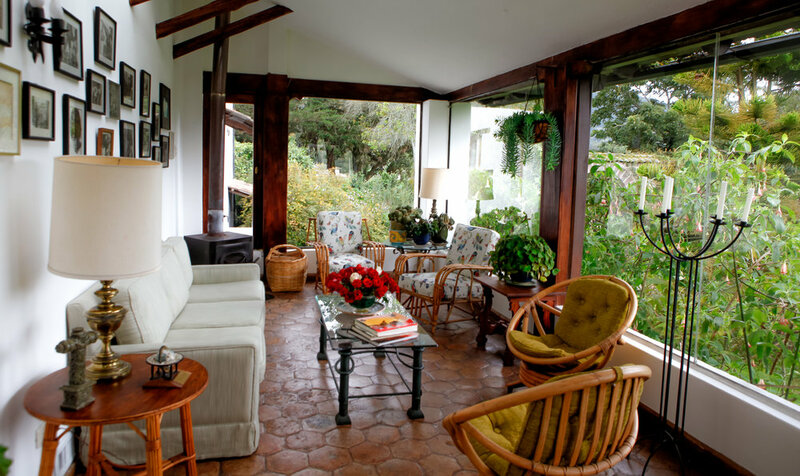 The warm hospitality of the family is one of the endearing features of this mountainside retreat. Plus, the food is absolutely amazing. Finca to fork at its very best! 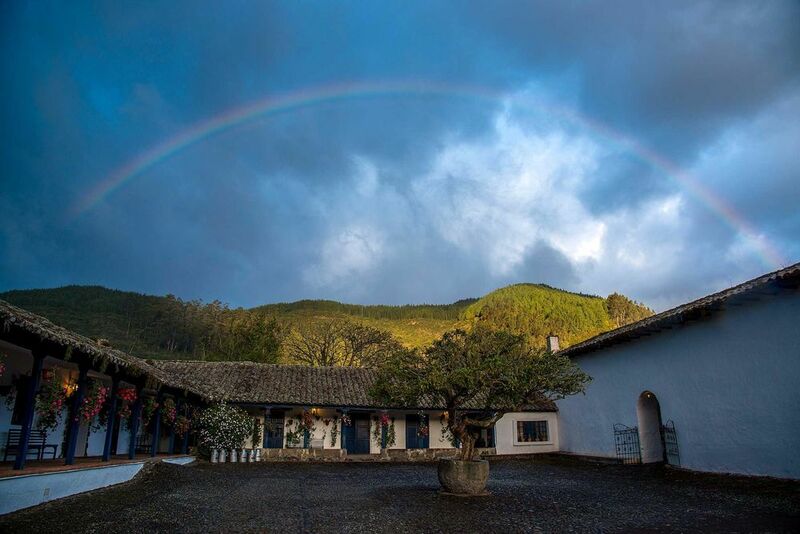 "HACIENDA ZULETA WAS RATED ONE OF THE WORLD'S “TOP TEN FINDS” BY OUTSIDE MAGAZINE." This one-of-a-kind safari takes you to the best of the Galapagos Island and ends with a grand finale at a historic hacienda in the Andean foothills of Ecuador. We catch up with our South American trip designer Laura and marketing manager Whitney on why Ecuador should be at the top of your bucket list. From hiking the Inca Trail to learning to surf in the Galapagos and beyond, here are four trips that guarantee you'll return home changed for the better forever.